The time has come... for a BREAK! It looks as though the first week (at least here in Whitehorse) will be mild and mostly sunny. If you're heading out of the territory, I wish you fair skies and safe travels. ​I hope that everyone enjoys a safe, rejuvenating and fun holiday break, and look forward to seeing everyone back on Monday, March 25th. Please note: if your child/ward tells you that they do not have homework for my classes this may be correct. I have not assigned specific homework for the break. That being said, students were reminded that if there is work that they have not completed during provided class work times, then they need to take ownership of that responsibility and complete the work over the break. What's the big deal with being away for a couple of days? 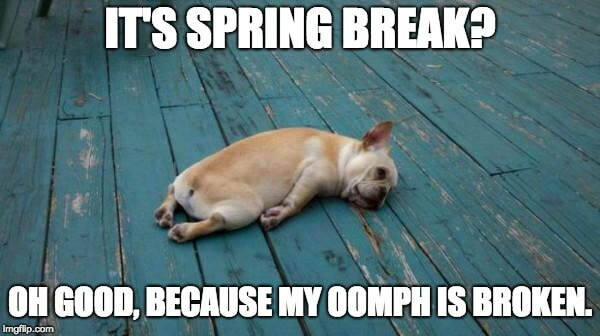 Everyone needs to take a few days off - sometimes it's to rest and to rejuvinate, sometimes it's for health reasons (because sharing germs is not a caring kind of sharing, and you need to rest to recuperate!). Sometimes there are unavoidable circumstances like car breakdowns, or other things that get in the way, especially in a place like the Yukon where parents may have to drive students significant distances from places public transportation doesn't reach. Is it really such a big deal if kids miss a few days here and there? Turns out, decades worth of research show that yes, absenteeism - especially if it begins early in the student's academic career, and carries on persistently - has a long-term cumulative impact on students' lives beyond their public school years. Here in Yukon, a student is considered to have missed enough class to make them at risk of not knowing enough or having the skills to earn a credit after 20 missed classes in a course. The research shows that effects show up after as little as 10% of school overall, or between 2 - 3 days per month. It is worth pointing out that it does not matter if the absences are excused by a parent - the key issue is the loss of instructional time with curriculum/content material experts, the social elements of learning, and the opportunity for guided practice. Canada has made significant gains in recent decades in improving the overall number of students who graduate from secondary school and are able to have a wide variety of post-secondary paths open to them for further development and exploration. Students who are chronically absent - 10 or more absences per academic year - are notably less likely to graduate, may struggle to hold jobs as adults in part because of a having a personal pattern of absenteeism, may find themselves facing poverty because of not having a secondary diploma and/or not maintaining a stable employment history. Those economic stresses can impact health as people progress through life. People involved in the legal system, and those who have been incarcerated are more likely to have struggled with absenteeism and not to have graduated than their counterparts who attended school regularly and graduated from secondary school. None of these statistical correlations are absolutes - there are many people who have struggled as kids and who, through effort, through time and with support and access to resources, been able to succeed and live healthy, productive lives. The key is that for those with a pattern of absenteeism, that road to building they life they want can be a far more difficult and long process. In short, putting the effort into attendance and participating in school as a child and a teen is an investment in a kid's future. If your student is struggling with absenteeism, there are supports available in our community. Teachers can try to help and many of us as PCSS have websites to help students stay up to date. That being said, nothing we can provide electronically - without context - is of the same value as a student being in class, attending and participating in the learning activity, regardless of whether that learning activity is digital/virtual or in a brick-and-mortar building, in scheduled classes or in a drop-in learning structure. Please see links below for information on the impacts of absenteeism on student success. Please be advised that some of these links are to American organizations, but the research applies across borders. The article below is specifically aimed at parents of Elementary school students, but the ideas are solid for parents of students of all ages. 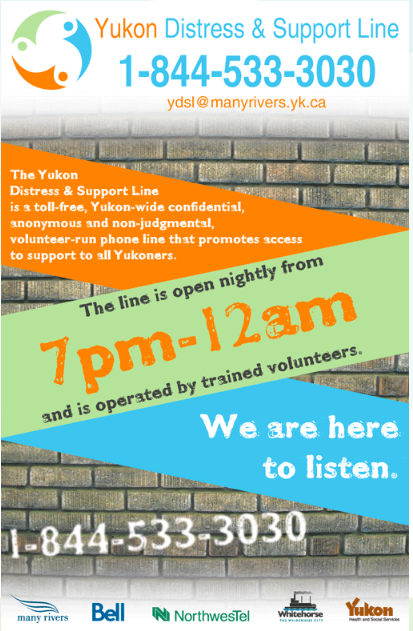 If you struggle with implementing some of these guidelines, consider seeking support from the variety of community services and groups here in Whitehorse. The entire community benefits when students succeed - ALL students. Each student has the capacity to succeed, whatever that means for them and their family in particular. Support from parents is key to helping kids do well academically. Here are 10 ways parents can put their kids on track to be successful students. Kids do better in school when parents are involved in their academic lives. Attendance is only one brick in building a foundation of success for a student, but it's a keystone that makes other bricks in that foundation possible, makes the other educational foundations stable and provides a basis from which students can build and grow. ﻿﻿﻿WHEN YOU WERE JUST A CHILD, YOU WANTED TO LEARN. YOU LEARNED TO WALK - BUT FIRST TO CREEP, THEN TO CRAWL. YOU FELL DOWN. A LOT. YOU GOT BUMPS AND BRUISES. YOU WANTED TO LEARN, AND YOU WANTED IT BADLY. NO MATTER HOW OFTEN YOU FELL DOWN, YOU KEPT TRYING! 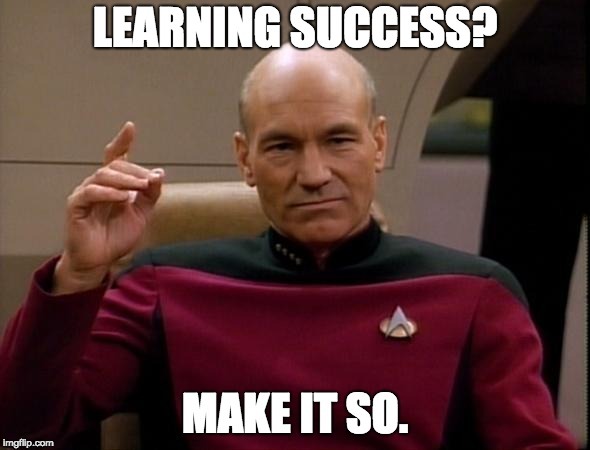 WHEN IT COMES DOWN TO IT, ALL LEARNING IS LIKE THOSE FIRST WOBBLY STEPS. Writer Edward Benton-Benai wrote a story called "The Mishomis Book". In it, he summarized and brought into the modern world the traditional values of the Anishinaabe peoples of Central and Eastern North America. He called them the Seven Grandfather Teachings, and although they originated with the Anishinaabeg in the Long Ago Time, they are values common not only to many First Nations but to many cultures around the world. Please click here to see a Prezi slide show that goes deeper into what how these values set a tone for classroom behaviour expectations. Give trust and earn trust. Treat other people as if they are valued community members. Treat the things in the room and other peoples' belongings as valued resources. Put in an effort to do your best work every day and help others to do their best. Participate in class with courage, even when it means doing things that might be outside your comfort zone. Porter Creek Secondary School maintains a website that features school information including policies and procedures. Other information on this page builds on those policies to describe their application in Ms. Carrey's classroom. Students received a list of required school supplies from the office (extra copies are available through the office). and coloured pencils or markers. From time to time, students may work on extended projects. For these, it is recommended that students ensure that they have a USB drive, AND that they have memorized their student number so that they can access their local server. 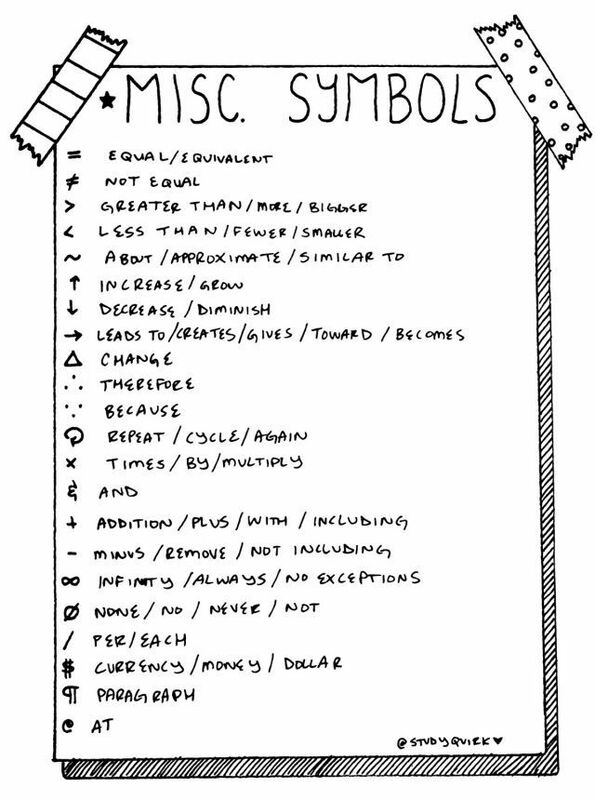 Students should realize that any costs for creating ‘fancy’ projects will be theirs. Ms. Carrey does keep some supplies on hand for emergencies. When there are extended projects to do, some limited supplies may be provided, and time to access technology will be made available when and as scheduling permits. Most texts will stay in the classroom because they need to be shared between multiple classes. If a student needs to borrow a book, their name and the code number of the book will be sent to the office. If the item is lost, the student will be responsible for the replacement fee. ANY nut product (neither tree nuts nor peanuts). There are, occasionally, academic applications of tech devices in the classroom. Appropriate use of technology for academic purposes can increase students' ability to interact effectively and knowledgeably with information, and to communicate effectively via digital means. Personal devices in the classroom, devices which students often use for social networking and gaming, and so are loaded with apps designed to take their attention, are often not very effective in helping students focus or learn. The first and preferred strategy is for students to leave their personal devices safely locked up in their lockers, and to make sure that they do not share locker combinations with anyone. Students have time on breaks between classes to check their social media and games, return texts and check for messages. IF a student is not able to self-regulate and pulls out a digital device, they will receive a prompt to put it away. The second time, they will be instructed to put it in the classroom "cell-parking". The third time it will be taken by an instructor or EA and put in the office for the remainder of the day. "Away" does not mean in a pocket or upside down on a desk - it means in the cell-phone "parking" (shoe hanger) on the back of the classroom door, it means in a bag, in a locker or otherwise not easily accessible. The teacher and/or EA reserve the right to remove from any student any device which is distracting any student in the room from the learning at hand. Staff will do their best to ensure the safety of the devices that have been confiscated but will not be held responsible for their safety. NOTE: The office does not want students leaving class to be on their digital devices. Therefore, digital devices are also prohibited in the hall ways, bathrooms, caf and public areas during class periods. Students leaving the classroom for any reason are expected to leave their devices in their locker and or in a safe place in the classroom. If a student is found to be on their digital device in the halls etc. during class, staff have the authority to take the device and send it to the office to be locked up for the remainder of the day. IF students are concerned about having their devices taken, they should leave them safely locked up in their lockers during class periods. The safe storage and appropriate use of personal digital devices is the responsibility of individual students. Reading a digital book or magazine. Looking up information for a project or directly related to the class work. Looking up the definition of a word, synonyms or antonyms of words. Taking pictures of notes on the classroom boards. Listening to music during individual reading time WITH permission. Please see the comment and playlist provided below. Texting or use of social media, including to contact parents during class time. Includes but is not limited to Instagram, Snapchat, What’sApp, Facebook, Facetime, Messenger etc. Taking pictures of classmates, unless they have express permission AND it’s part of a project. Listening to music while any instruction or collaborative / cooperative work is going on. Refusal on the part of a student to give up their device when asked by a staff member will result in communication home and an office referral. Repeated refusal to comply with such requests will result in more office referrals and disciplinary measures. Parents and Guardians, a respectful request: Whenever possible, please do not text or call students during class periods. Sometimes, parents text to let a student know about an appointment, but a text to a student does not constitute permission to leave class for an appointment etc. It is simply too easy for students to change the settings on their Contacts. If your student needs to leave class to attend an appointment, it is best that they either show the teacher a signed note AND/OR a parent or guardian needs to phone call the main office at 867-667-8044. The office will call the classroom and ask the student to come sign out and let them know that their parent/guardian is waiting. When you call your student during class time, this puts them in a position of either defying class expectations or defying your expectations. Students are free to receive texts and calls from parents during morning break, lunch, afternoon break and after school. Please click here to read the Edudemic article on the 4 Negative Sides of Technology in the classroom for more information on ways using personal devices can be impacting kids. A good website with useful techniques for limiting the impact of social media manipulation is www.timewellspent.io created by Tristan Harris, former Design Ethicist at Google, who has gathered a team of other former Silicon Valley and social media upper level staffers to teach the public about the ways in which technology corporations are capitalizing on our connection to connectivity. 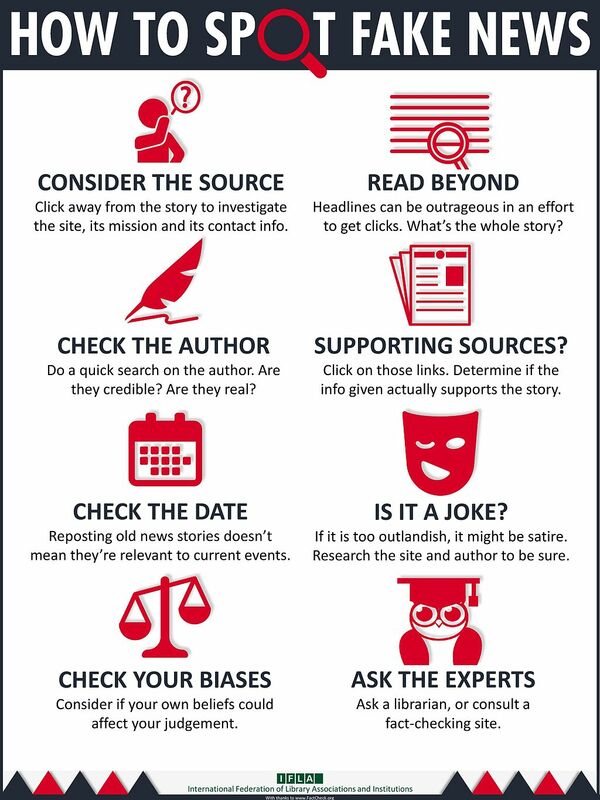 In English Language Arts and in the Social Sciences, students will be learning about the necessity to both find information to back up their work and to properly cite their sources. Students are expected to cite sources for ALL multimedia they use in any project and to use only images and sound files that they have the legal right to use under Canadian Copyright (please see the Copyright Matters PDF online for details ). If a student is found to have plagiarized their work, from either a peer or a published source of any kind, they will need to redo the work before it can be resubmitted before it will be considered for assessment or evaluation. Porter Creek Secondary School has a lates and attendance policy outlined on their website. Please see information under the "School Info" and then the "Policies" tabs to find the document. Please note that even excused absences count towards the 5-10-20 absences milestones – unless they are directly related to school activities, but circumstances like illness will be taken into account when determining next steps. If you know that your student is ill and will be unable to attend school, please, if possible, take the time to contact the office at 867-667-8044 so that their absence can be noted as excused. If you cannot call that morning, please contact the school as soon as possible so that the records are kept up to date and accurate. Any student leaving during the school day must sign out at the office and sign back in when they return. Students should pay close attention to warning bells so that they are in their classroom by the time the bell rings to announce the start of a class period. Arriving late is a sign of disrespect for the other members of the classroom learning community, and disrupts the learning environment. Students who arrive late may need to wait in the hallway until a suitable break in instruction to be invited into the classroom. Students who arrive late should enter as quietly as possible and try not to disrupt the learning of their peers. It is the responsibility of individual students to catch on up missed materials and work after they have been absent or late. Extra copies of any materials provided during class will be available in the classroom and online on this website. Absences or lates, whether or not they are excused by a parent/guardian or are school related, do not mean that a student is excused from assignments, assessments or evaluations. If a student knows ahead of time that they will need to miss class, they should discuss with the instructor how they will stay up to date on their work and complete necessary assignments. If a student has missed a class/classes, they need to make an appointment (on a break, at lunch or afterschool based on instructor availability) to discuss when and how the work will be made up. While the instructor will remind the student that this needs to be done, it is the responsibility of the student to set this appointment, to attend the appointment and to catch up any missed work. Break 9:51 am - 10:09 a.m. The document has several potential functions. Standards-based grading, the format which the Yukon uses with the most current curriculum, as with previous curricula, requires that students be provided opportunities to succeed at the tasks they are set in the academic arena. Some students/people have mistakenly misinterpreted this as meaning that "teacher's can't give zeroes". I frequently point out to my students that I am a detective, not a mind reader. Although they may have the intellectual capacity to understand or to perform skills they have encountered in class, I cannot "see" into their brains to assess that - either formatively (assessment FOR learning) or summatively (assessment OF learning). I need the evidence they provide to me in the form of published learning tasks which may be oral, visual, textual etc., through observation of their work in progress and through conversations I have with the students and they have with each other. Without the evidence on which to base an assessment, an educator is left flying blind. The goal is not to punish students with "zeroes" for not submitting work which provides little data about whether or not a student understands the work. However, evidence/data must be available to assess. We as educators do, however (like many professionals) have deadlines that we must meet, and so having timelines for work submissions by students is reasonable both for managing the workload of several classes and in helping the students develop core competencies around personal accountability and time-management. With the support of staff at Yukon Education Learning Support Services, and based on the work of Ken O'Connor (specifically his book How To Grade for Learning) I have developed a document that helps students to reflect on the challenges that have limited their achievement of their goals on a particular assignment, and allows staff and parents to support the students in re-setting goals to complete the work and achieve success. A student EITHER has not submitted an assignment by the due date OR receives feedback on their work and would like to achieve a better result. The student completes the basic information at the top of the form. The student reflects on PRECISELY why and/or how they ended up with that level of achievement. NB: in order for this process to be effective, and in order for the request to be approved, the student must have given thoughtful consideration to this part of the form and be able to be sincere about what difficulties they faced, and what external factors and personal choices impacted the end result. Students choose a goal for themselves. The goal should be at least a passing level of achievement (Approaching, Meeting or Exceeding Expectations). A student who earned a "Meeting Expectations" may engage in this process if they want to improve their mark. 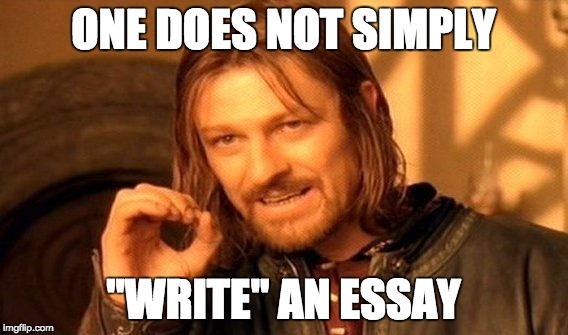 Student will earn the higher assessment of any submissions they have made. One student asked if they had to take a a higher level of achievement. (i.e. if they got "Approaching Expectations" on one iteration and "Meeting Expecations" on another, could they CHOOSE a lower level of achievement.) I am not sure why a student would choose this, but I addressed this as a valid concern. I pointed out that to score a student lower than his best level of achievement would necessitate a discussion with parents/guardians (and possible the school administration) and another signed document of understanding that any such result was at the direction of the student and their parents, not at the professional recommendation of the educator. Using that reflection as a Guide, and specifically addressing those challenges, the student can choose from among some of the suggestions already on the sheet and/or they can make note of additional, specific, measurable things they will do to address those challenges. (i.e. Saying, "I didn't use my time well." and then saying, "I'll use my time well." aren't effective - they are too vague. Instead, a student could be specific about HOW they actually used their time: "I was distracted by gaming on my cell phone", or "I was chatting with friends", or "I thought I had more time" etc. Their plan could then be something specific like "On *Date*, *date* and *date* I will give my parents my phone between 7pm and 8pm and work on this project; I will show my parents what I already have done at 7pm and will show them what I have completed by 8pm in order to get the phone returned." The plan must be approved FIRST by the instructor, who will review it with the student and will work with the student to set an agreed upon absolute deadline. Students are advised to have information about work schedules, team practices/tournaments/games etc available for this discussion. Students THEN take this document home to review with their parents/guardians. Parents and guardians may make suggestions to the plan or re: absolute deadline but these need to be agreed upon with the teacher. Once all parties are clear on the expectations, and student, teacher and parents/guardians have signed, the student will use the request as a guideline to help them complete the work. Students will attach the completed request with signatures to the submitted work. Assessment results would be changed according to the level of achievement representing the student's best performance of the task. A 16-year-old boy died from a caffeine overdose after drinking caffeine-laden soft drinks, coffee and an energy drink, a South Carolina coroner said Monday. Davis Allen Cripe collapsed and died last month, Richland County coroner Gary Watts told a news conference. A friendly reminder to everyone that sharing is not always caring. We're back into a building, hundreds of us together, sharing space. The custodians work hard to clean surfaces at day's end but during the day, we all use door handles, fountain handles, staircase railings, books, chairs, tables, staplers, hole punches, desks, writing implements etc. etc. etc. We're already seeing some early coughs and colds starting the rounds. Cough or sneeze into your elbow! 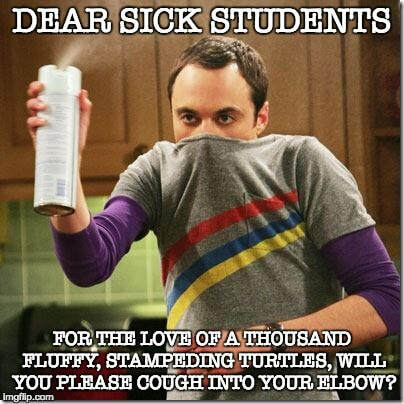 IF you are sick and you cannot make it in to class, please be sure that a parent or guardian contacts the main office so that your absence is correctly recorded. The chart below, sourced from www.healthylearn.com is a handy way to compare symptoms people may experience from colds, flus or allergies. It is in no way meant to replace medical advice or treatment from a qualified practitioner. If you feel ill, please be sure to contact your health care provider and to follow their instructions for your health care and well-being. If you are unsure, please contact your health care provider and do the same. Did you know that there is actually a right way and many wrong ways to wash your digits? At the end of the 2017/2018 academic year, you received a notice that reporting of student progress would be changing format beginning in the 2018/2019 academic year. For dates on this new protocol, please see the school calendar (or the calendar under the Ram Jams tab below). ​ This year also sees the new curriculum rolled out for Grade 10 students. This year, Grade 8 and 9 students will reflect on the Core Competencies in a self-assessment process that will be reported to parents. The new reporting protocol involves teachers sending out informal interim reports to parents half way through each term of the semester. As a result it is necessary that we have the most up-to-date and accurate parent contact information on file - including primary email address(es), home, work and cell phone numbers. IF you are at all uncertain whether or not the school has the most current contact information for you, please be sure to contact PCSS. Teachers will be using the email addresses in the system to send out interim progress communication. If it is not correct in our Student Information System, you may not receive progress information on your child. This segment is currently under construction. Thank you for your patience. To "learn" is a verb - it's an action. Like any action, learning itself is a series of smaller processes and skills. Any skill needs to be learned and practiced. Learning is a complex social and cognitive (brain / thinking) process that begins before we are born and continues throughout our lives. Educational researchers agree that learning is much deeper than memorization and information recall. Deep and long-lasting learning involves understanding, relating ideas and making connections between prior and new knowledge, independent and critical thinking and ability to transfer knowledge to new and different contexts. "Learning is “a process that leads to change, which occurs as a result of experience and increases the potential for improved performance and future learning” (Ambrose et al, 2010, p.3). The change in the learner may happen at the level of knowledge, attitude or behavior. As a result of learning, learners come to see concepts, ideas, and/or the world differently. Learning is not something done to students, but rather something students themselves do. It is the direct result of how students interpret and respond to their experiences. While there are disciplinary differences in what students learn, it is important to keep in mind that learning content or information constitutes only one part of learning in university courses. Regardless of the field of study, students need to have significant opportunities to develop and practice intellectual skills/thinking processes (e.g. problem-solving, scientific inquiry), motor skills and attitudes/values that are important to their fields of study. In addition, students need opportunities to develop interpersonal and social skills (often referred to as soft skills) that are important for professional and personal success. Examples of these skills include teamwork, effective communication, conflict resolution and creative thinking. As teaching assistants and instructors, we need to keep in mind that there is much more to learning than content and that we should pay attention not only to the content but also to thinking processes and other types of learning." Although this course material is aimed at educators and refers to university students, the information is about learning as a process and applies equally to learning done by all learners of all ages. Please note: I have chosen to bold some words. Any italics are from the Queen's University module, but the bolding is my own. To the left is a Crash Course episode from the series Study Skills. Using the eLearning Platform Edpuzzle, I've added information and some tiny multiple choice or short answer questions to consider as you go through the video. This particular video looks specifically at how human beings memorize and learn new information. 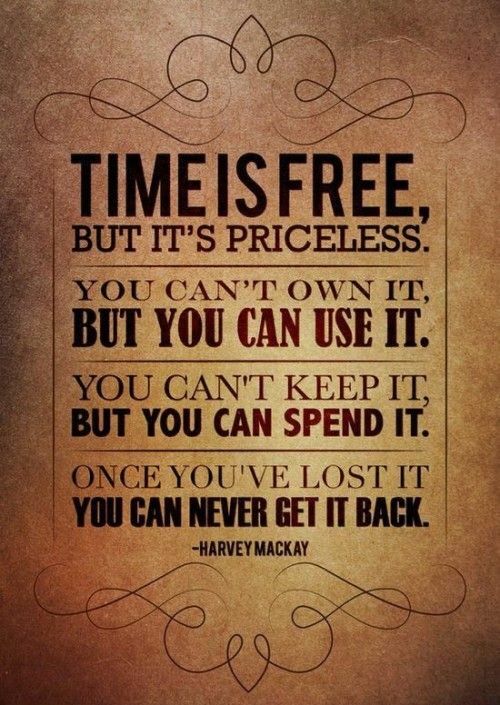 Time, like money, is a limited commodity - a resource of which you have a set amount. Every day has only 24 hours, only 1440 minutes, only 86,400 seconds. Once that time is spent on any given activity in a day, you cannot 'get it back'. EVERY task or activities you need or choose to do requires you to spend time - just like buying things requires that you spend money. Some tasks and/or activities are necessary, either to be healthy or to meet obligations and expectations placed on you by society or your immediate communities (family, school, jobs etc). You need to eat, to sleep, to use the facilities, to get from one location to another, etc. In some circumstances you may have limited choice about how to spend your time. In the times you are free to choose, you are accountable for where and how you choose to spend that time. We can measure increments of how time progresses - seconds, minutes, hours, days, weeks, months, years, decades, centuries, millennia - but how we experience time is relative, personal to each one of us and the circumstances in which we find ourselves. There are a wide variety of tips, tools and strategies that people can use to manage their time effectively, to essentially "budget" time the way you might budget money. Different people may need different approaches based on their circumstances, obligations, opportunities, access to other resources and personal priorities. Some weeks, it seems like we have no time. Your high schooler may feel the same way. And when they're stressed about upcoming tests and losing track of assignments, their grades can suffer. To help your teen get organized and on track for school, introduce them to these 7 time management techniques (and maybe steal a few for yourself!). Although there are many fantastic tools out there, and helpful strategies, realize that no one tool or strategy will work for everyone, or even for one person all the time in all circumstances. Our management of time - as with money - needs to be a balance between a foundation structure and flexibility within that structure so that we can respond to changes in our priorities, needs and obligations. In class, we've learned about using Cornell Notes. The videos below offer a "how to" on using the Cornell Note Taking Method, including page layouts and the ways you can use sketching or "academic doodling" to improve your note taking. 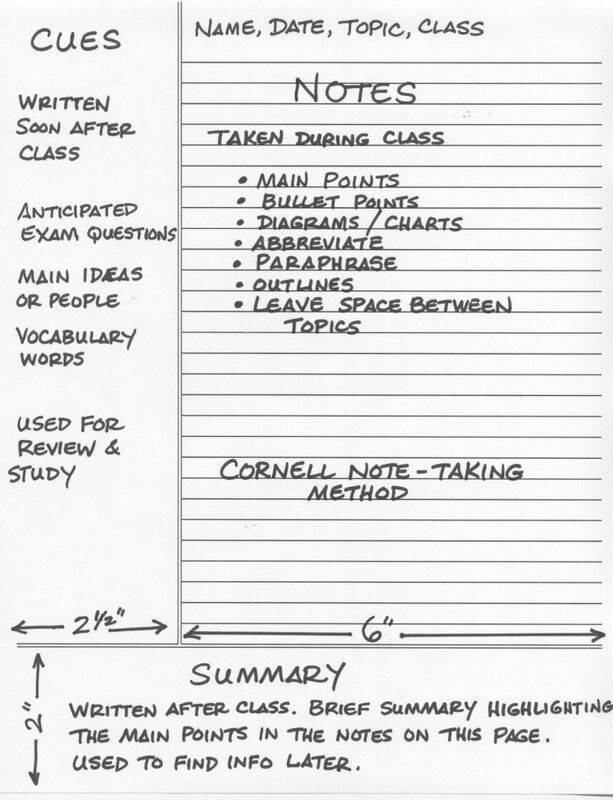 The Cornell Note Taking Method is one of the most commonly known and widely used strategies for note taking in academic and business settings. Learning it early in secondary school will be valuable in every subject area for at least the remainder of a student's secondary school studies. For any student considering attending post-secondary studies, this tool will be invaluable, as note taking is a fundamental skill in either college or university. Summarizing (this is a good description of summarizing and offers some good tools - IGNORE the push to purchase their product - unnecessary. Output is as important as input. You must put ideas in your own words (meaning is more important than syntax). You must show up to class, prepared with the right tools to be successful in learning in school. 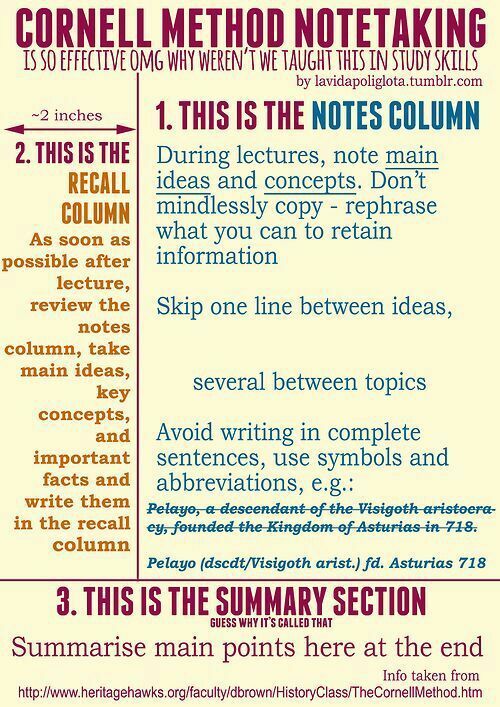 Research shows that taking notes by hand forces you to take notes more based on summary and meaning than syntax and thus increase your overall recall and learning. 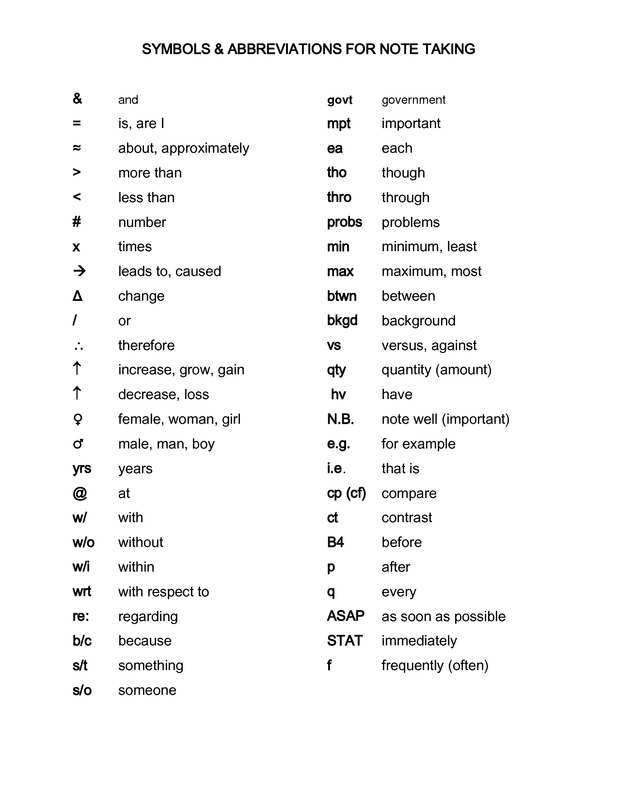 Recognize and use text features. use our time to maximize our learning. You must find out what your teacher's expectations are and tailor your choices to that teacher's expectations in order to maximize your success in their class. If you're not sure, ask! So-called "speed reading" is ineffective for learning for very specific and physical reasons (and you should know those reasons). Our brain has natural techniques to speed up the pattern recognition we use when reading written language - regressions, chunking and skipping very familiar words. The way to become a better reader is to practice and on material that is slightly challenging. This is a process that breaks down the process of asking questions into concrete steps that students can use individually and in groups, in any subject area. A Question Focus - usually developed by an instructor but can be developed by students if they are working independently. Students develop questions using FOUR basic rules as guidelines. Do NOT stop to discuss, judge OR answer the questions as you think and write them. Write down every question as it is stated / as you think it. Categorize all questions as being either closed or open-ended questions. Which do you think are the THREE questions that are most important to answer? How will you USE these questions? Reflect and debrief - what did you learn? What new statement could you make? Do you still have questions? The CRAAP test for resource assessment was developed at California State University at Chico, but is now used widely at schools across North America. PCSS Students have access to the research organization supersite, NoodleTools. In order to access the paid account provided for them, they need to access the NoodleTools link from under the PCSS Library URL. If students try to access NoodleTools from the web in general, they will not be able to access the subsite that holds our accounts. There are a series of instructional/tutorial videos below. Why use databases? Isn't Google good enough? The world wide web and internet tools like Google can be fantastic resources. So why is it important to look beyond Google when doing work for a school project? Google is primarily a company and companies exist to make a profit. That's reasonable and fair. When something is free for the end user, the end user must ask themselves, "How is this company making money if they are providing their services to me, for free?" In an age of social media, the answer is usually that the end user is, in fact, the product. Demographic information sold to companies that advertise on free sites make the money that companies need in order to keep providing content. Many companies are quite transparent about this, however it does pose an issue in terms of questing content - how do companies that are using advertising money for their main source of income decide on which content to highlight or promote? The short and long of it is that the accuracy of a site's information is only a portion of how trusted a site is by users - and that is less than a quarter of the analytic 'oomph' that puts a search result at the top of a Google results page. As important is how popular, or how many clicks, a site or page has already had - not whether or not the content is accurate / reliable. Subscription database services get the monetization done up front - in our case, Yukon Education or PCSS have already paid for the service. As a result, there are no ads, and no need to make money by preferring one source over another. Social media and popularity do not enter into the search results. There are staffs of professional experts and editors who ensure that content in a published database are accurate, and the average individual cannot simply get their personal writings or postings into a vetted database. This makes the academic databased available through the PCSS Library/Learning Commons an ideal starting place for school project research. 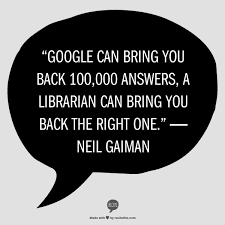 There is no single resource available to our students as powerful as access to our teacher librarian. Begin with the expert, every time. Why is it important to be a savvy media consumer? Although the process of writing may end up with a concrete product (i.e. an essay, a story, a speech, a presentation, a play, a song, a poem etc.) "writing" is a verb - an action word. There are many analogies you can use to help you visualize the process of writing - that it's like building something, like carving something, like making a meal, or like traveling, like weaving threads together into fabric or dancing, but all of those things are also actions. Like any action, the process of writing has steps, can be broken down into sub-steps and those steps can be learned and practiced so that a person becomes more skilled at using the process. Pre-writing is a multi-faceted first step in the writing process. There are several issues that need to be addressed, chosen or determined right off the bat. ﻿Home of Ram pride, here's a link to the Porter Creek Secondary School website. Head there to check out everything from the school calendar, dates for upcoming events like when the next Three Way Conferences are (formerly known as Parent Teacher conferences), or sporting events, links to vital information on grad requirements from the Counselling Department, messages from the Principal, and other key information. Seriously. You should have that site bookmarked! The most wonderful thing about Libraries is that, unlike Tiggers, there's more than one! Perhaps, you cannot find what you need in the Yukon Education Library system / at the Porter Creek Learning Commons. Perhaps, it's the weekend, your computer has had a temper tantrum, melted down and you desperately need a place to get some work done. Perhaps you simply crave the smell of information all around you. Whatever the case, the lovely still-newish downtown location of the Whitehorse public Library, at the foot of Black St. next to the gorgeous Kwanlin Dun Cultural Centre is the place to be. Check out their collection, book some time at a workstation, do a bit of reading, a spot of research, whatever floats your boat down at the riverside. One of the THE most informative sites on the web, Grammar Girl (Mignon Fogarty when she's not wearing her SuperHero Grammar cape) provides humourous explanations and examples of the pitfalls of grammar in the wackiness of the English language, and provides style advice (as well as stylish advice) on how to avoid those same pitfalls. Plus, she manages to work aardvarks into grammar. That's working language like a boss. TED talks are some of the most well-respected and most watched presentations in modern learning media. With events hosted around the world, on topics in every area of learning, they are acknowledged experts in hosting the experts who share knowledge on just about any issue. This blog includes basic information on how to make your presentation powerful, polished and effective, from a TED in-house expert on the Art of Presenting. If you have a presentation to create, no matter what class you are doing the work for, this blog is worth the time to review. Access to these databases is provided by Yukon Education for all Yukon students. Unlike a simple Google search, using academic meta-sites (sites that allow you to search other sites) mean that all of the information you find is from reputable sources. 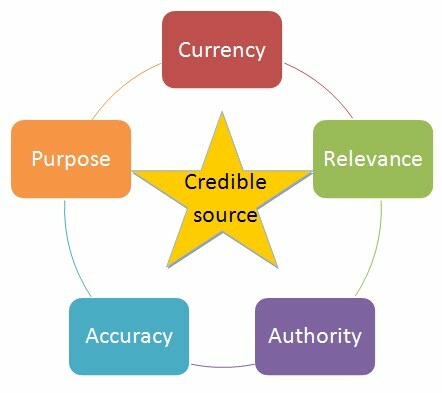 Combine using these resources with Noodle Tools, and the CRAAP model of source assessment and you are well on your way to being an exceptional researcher in any subject area. Remember to get the user name and password from your instructor. Once you have the general pw and user name you can set up an individual acct on these databases and save your searches, results and organize your information. IF you want to try and access these tools from home, you MUST first go to the Yukon Libraries site (link in button) to sign in from under the Yukon Education IP umbrella. Lots of people like to listen to music while they work. However, if the language centres of your brain are engaged with listening to or singing along with lyrics, that distracts you from other tasks that need the attention of those parts of your brain. Instead, consider listening to either fully instrumental music (see the Spotify list below for some examples) or music with lyrics in a language you don't know, so that the voices become another instrument. The Library - it's not just where the books are, anymore. Now it's a Learning Commons, a place where you can access online data, work with friends and peers, play board games, study, create and take in multimedia information, search the entire Yukon Education digital and hard copy database, including the growing collection of eBooks, research and reserve fiction and non-fiction materials... If there is a heart to Education it is in the Learning Commons, and this link is the digital connection to that heart. See the panel to the left, where I defined the very cool word Grok? It sounds like a made up word from Star Trek or something, but nope, it's real. I know this because I looked it up. We live in the midst of the Information Revolution. It's up to you to use the tools and the power at your disposal to make sure that you use the information wisely so that it doesn't use you (I feel like I can hear Obi Wan Kanobi's voice somewhere...). 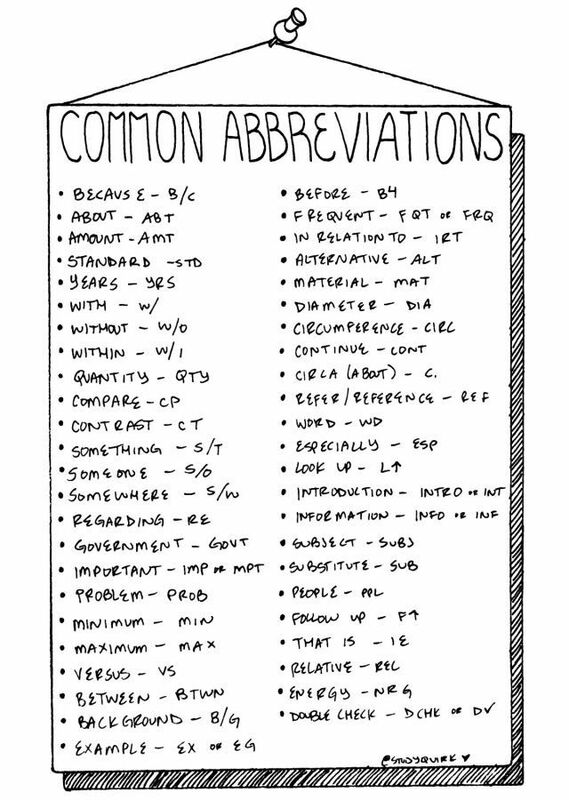 A good basic dictionary and thesaurus is a super-tool to make sure that you don't sound like a tool.. There is nothing wrong with not knowing what a word means, how to say it, or when to use it, unless you refuse to learn about it. People, whether or not it's fair, judge us on how we sound when we communicate with them. Make sure what you say and how you say it represent the best of what you have to offer the world. I prefer the Learner's Dictionary because unlike the regular Merriam Webster site and many other dictionaries, online and print, I find that you don't end up having to look up half of the words in the definition! NoodleTools is your Yukon Education-funded membership one-stop-shop for planning research projects, tracking all of your research, storing all of your research and even collaborating with your peers and your teachers. Wowza! Your membership, provided by the Department of Education, covers all of your courses and any project you choose to set up, no matter what subject area, grade or course. You can keep your citations, your notes, your projects outlines - all in one, handy dandy place. Grammarly has a handy free tool (not as comprehensive as their paid membership, obviously) to help you catch basic grammar, punctuation, and form issues in your writing, as well as apps for Windows and OSX, and mobile devices. Word choice an variety are part of what make Language Arts and art. The key to using a thesaurus is choosing a synonym with just the correct nuance of meaning to match what you intend to communicate. Having a difficult time understanding the text on a website or in a book, magazine or article? Copy the text or url into the window in Rewordify and get a simplified version that takes context into account. Lots of other handy tools! 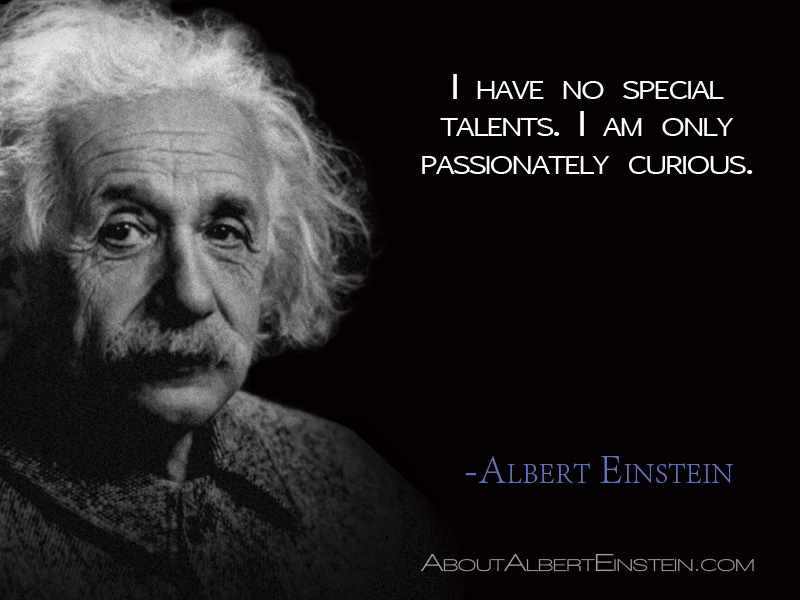 This quote may actually be something Albert E. said!